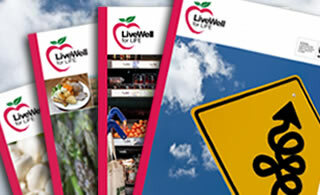 LiveWell for LIFE wanted to influence policies and eating habits in the EU, in particular in France, Spain and Sweden – our pilot countries. Using the LiveWell Plate we determined country-specific sustainable diets in France, Spain and Sweden, taking account of their location, traditions, climate and their national policy priorities. We chose these pilot countries for their varied diets and their different levels of readiness to adopt sustainable diets policies. Each country grows and consumes different fruit and vegetables due to climate differentials, soils and water availability, and uses different livestock breeds and fishing traditions. We also did policy work across Europe, in particular London and Brussels. In most other EU countries, work around food consumption is more focused on the links between nutrition and health. France, for example, has invested in a large programme of work (Programme National “Nutrition Santé”) which aims to address the negative health-related consequences of dietary change, particularly obesity and other chronic conditions, but does not consider environmental implications. The French diet is generally high in meat, and traditional food tends to be made from native vegetables, fruits, herbs, local cheeses, fresh milk and cream, breads and meat or fish. However there are variations reflecting heritage, region of birth, social status, and health. The climate and soil of France create good conditions for farming. Although only four percent of French people earn their living from farming, the country is self-sufficient when it comes to growing its own food. Fertile soil provides fresh fruits, vegetables, herbs, grains, and meat, nearly year-round. France is a major producer of cereal crops and grows large quantities of tomatoes, carrots, onions, apples and pears. France is Europe’s leading producer of GHG emissions from agriculture, producing 95,000 megatonnes (CO2 – eq). Spain is one of the largest producers of tomatoes, onions, pears, oranges, lemons, small citrus fruits, wine and olives, strawberries and blueberries. Is has some reasonably large cereal crops. Spain is the third biggest producer of GHG emissions from agriculture in Europe, producing 46,000 megatonnes (CO2 – eq). Spanish consumers are in general health conscious, with awareness about cholesterol high on the agenda. Tradition plays a major role in consumption patterns. However the relationship between diet and environmental sustainability is less developed. The Spanish National Institute for Agricultural and Food Scientific Research and Technology, which coordinates agricultural research, does not appear to place significant emphasis on food chain sustainability. 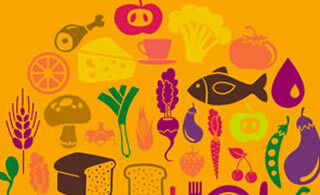 Spain has a high meat and fish consumption, while using large amount of olives and citrus fruits . Rich soils in interior valleys yield a variety of cultivated vegetables, while the country’s arid (dry) climate provides excellent growing conditions for grapes and olives. 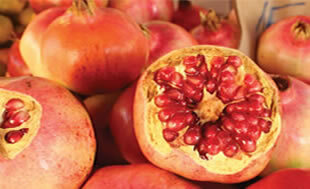 It grows and exports various fruits and vegetables for the Northern European markets. The high plateaus and mountainsides of the interior are grazing grounds for sheep and cattle.Spain’s long coastline (more than any other EU country) allows wide access to seafood. Sweden has a well informed public debate with academic institutes engaged in food and environment research. There is a high level of awareness surrounding environmental issues and sustainable consumption in the community. The Swedish Administration has looked at environmentally sustainable diets, and has estimated the global GHG emissions caused by Swedish food consumption. The related report concludes that “the choice of ingredients for meals is of great significance to GHG emissions, and that it is possible to have a nutritious diet with low impact on the climate,” with reductions in meat consumption a key consideration in this context. Sweden has a moderate meat diet and imports large amounts of out-of-season fruit and vegetables. It has a rich culinary history. About 15 percent of Sweden’s total area lies north of the Arctic Circle. Because of the effect of warm ocean winds, Sweden has higher temperatures than its northerly latitude would suggest. Sweden’s relatively slow population growth and strong conservation policies have preserved the country’s extensive forests. Traditional Swedish home cooking is simple in comparison with other EU cuisines. Surrounded by water on almost all sides, seafood is very popular.